After 12 years of legal battling, the U.S. Supreme Court recently ruled in a controversial Alaska public lands case. Sturgeon v. Frost is resolved for now, but this does not mean that the issues of federal vs. state regulations concerning Alaska’s public lands, including navigable waterways, are settled. Anyone following Alaska public land issues knows the state’s land is parceled into a vast and complex web of state and federal regulations. In 1980, the Alaska National Interest Land Conservation Act (ANILCA) was signed into law after years of debate and negotiation. This act distributed 157 million acres of Alaska land to various entities, adding new parklands that doubled the size of the National Park Service (NPS). At this time, the land claims laid out in the Alaska Native Claims Settlement Act (ANCSA) of 1971 were recognized. Fast forward to 2007 when the National Park Service confronted moose hunter John Sturgeon for hover-crafting on Alaska’s Nation River. This activity is not allowed by the NPS because of its impact on waterways, and Sturgeon reacted that he had the right to hovercraft there since the waterway is regulated by the state, not the NPS. A protracted legal battle followed. Is the Nation River regulated by state or federal entities? A few years ago, SCOTUS reviewed the case and sent it back to the 9th Circuit Court of Appeals for review. This week’s ruling views the Nation River as state-regulated, and the state allows hovercrafts. The legal issue here became whether the Nation River is public land subject to NPS regulations. SCOTUS maintains that, under ANILCA, the running and navigable waters of the Nation River merely hold a federal water right interest “to protect waters in the park from depletion or diversion.” This throws out the NPS hovercraft ban; SCOTUS assumes that hovercrafts do not impact waters enough in the form or depletion or diversion to warrant a ban. The upshot here? Hovercrafts do not deplete or divert Nation River waters and do not warrant a ban under ANILCA. A ruling in favor of hovercrafts is disconcerting to those fearing conflict with rural subsistence regulations established by previous Katie John rulings. Katie John established federal subsistence fishing right protections for Alaskan Natives and rural residents. Yesterday, the Anchorage Daily News reported that the ruling is receiving criticism from groups like the National Parks Conservation Association (NPCA) because it still leaves the NPS with the task of protecting “park lands from resource damage.” This complicates NPS jurisdictional responsibilities, which can be enacted through cooperation with state entities. But these unclear governmental boundaries can also lead to more disagreement and confusion. Additionally, the verdict is still out on resource damage caused by hovercrafts. The NPCA website states that: “Hovercraft have long been prohibited under Park Service regulations for the noise they produce and their ability to travel over gravel bars, onto wetlands and over tundra, causing significant damage to wildlife habitat.” When ecosystems get damaged, subsistence is threatened. Mere abstract assertion that this decision is compatible with the Katie John rulings does not guarantee subsistence fishing in the decades to come. Interagency governmental cooperation provides one answer for ecosystem damage control here; is everyone on board to minimize damages and maximize subsistence fishing conditions? Additionally, the Sturgeon ruling establishes a precedent that could compromise other NPS holdings. This ruling comes at a time when recently passed National Resources Management Act (NRMA) adds 1 million acres of new public lands, including 620 miles of Wild and Scenic Rivers, and expands hunting and sportfishing access. What activities will be permitted on new and existing parklands? The Wild and Scenic Rivers designation, which does not cover Nation River, gives clear federal regulatory jurisdiction. 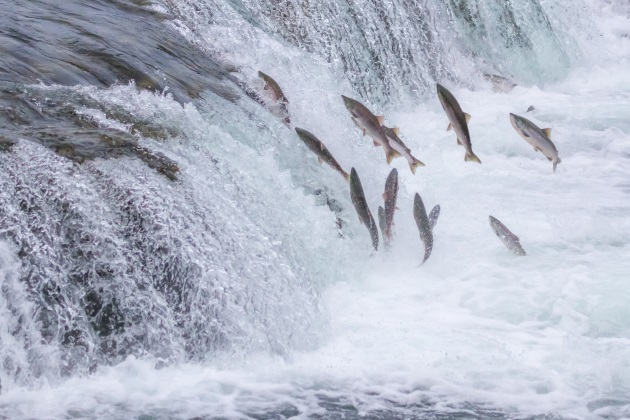 We can anticipate that the issue of regulatory control of public lands will resurface in the courts as surely as the salmon running through Alaska’s beautifully scenic and wild navigable waterways.